Elongated round head for precise detail and line work. With short handle. 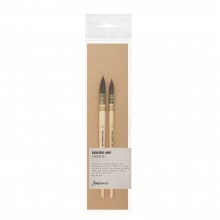 Made to the same high standards as Series 101, these brushes have an elongated head shape, which gives and extra fine point and greater colour-holding capacity. 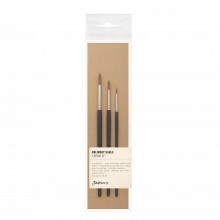 Ideal for fine detail work and for use with all media.